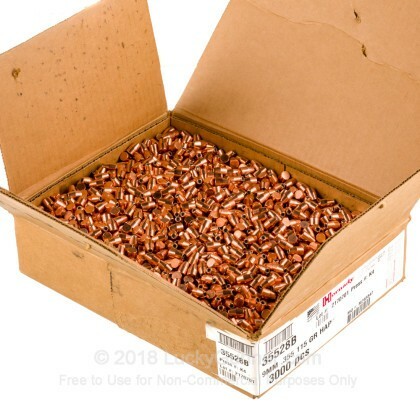 The 9mm has various iterations in the ammo world, including .357 SIG, 9mm Browning Long, 9mm Winchester Magnum, .380 ACP, and the highly popular 9mm Luger among many other rounds. Whatever your purpose, the 9mm is a fantastic self-defense and range training round, perfect for all your shooting needs. Hornady was founded just after the end of the Second World War and has been dedicated ever since to producing some of the best ammunition in the world. 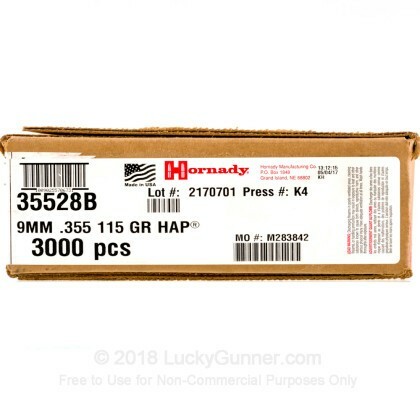 These 115 grain, HAP bullets are modeled after Hornady's highly successful and effective XTP bullets but are specifically designed for competition shooting. 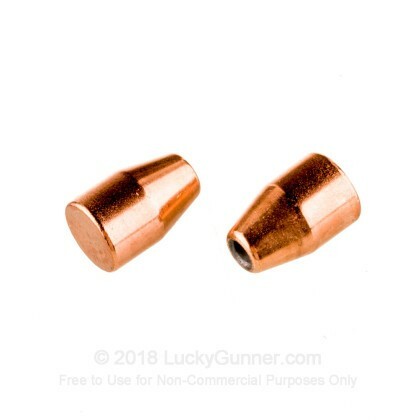 When you load up these amazing bullets, you will have yourself incredibly accurate and highly reliable rounds, perfect for all your match competing needs.